FORT POLK, La. — The Army has been training, advising and assisting foreign partner nations for the better part of a century. But in 2017, for the first time, the service announced that it would stand up an all-volunteer brigade for noncommissioned officers and post-command officers to spend two or three years training and deploying for that mission only. The Army offered a handful of cash and administrative incentives, but for many, the chance to share and sharpen their skills — and deploy — was motivation enough. 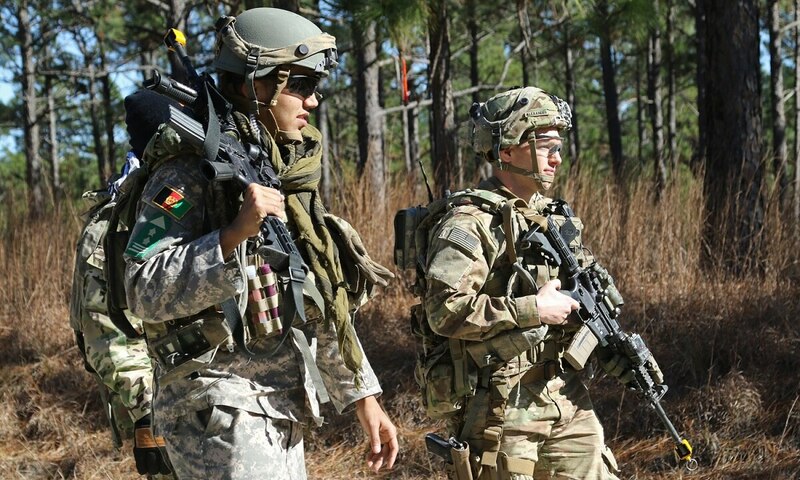 This fall the Army is standing up a new brigade that will deploy around the world to train foreign troops, and they're looking for about 500 seasoned officers and NCOs to man it. The plan resembled a handful of forebears, like the Security Force Advisory and Assistance Teams and the Military Transition Teams of earlier years, temporary solutions that gave many soldiers a taste of combat advising as a job. And a solid organizational structure means that his higher-ups are invested in the work that he’s doing, because it’s their main objective as well. The hope is SFABs will give the Army a chance to make a lasting impact on developing militaries while conserving its readiness for its own brigade combat teams, who have been sending their headquarters elements downrange for the advising mission while the rest of the formation kicked around back home. Others wanted to come back and finish what they’d started all those years ago in Afghanistan and Iraq, a time punctuated by pain and loss. 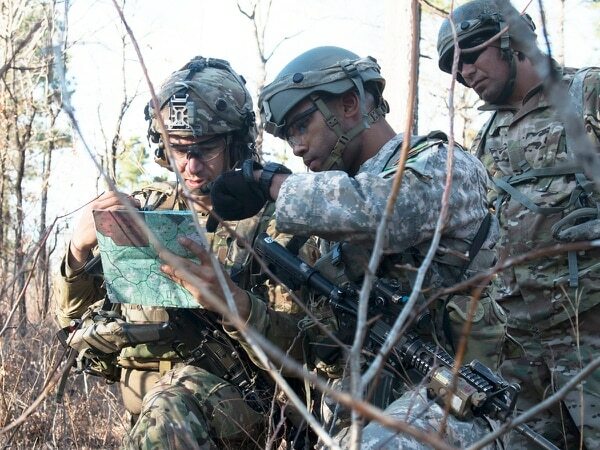 Members of the SFAB are required to have completed the key leadership positions for their ranks, which means that everyone has already been a battalion commander, a company commander, a team or a squad leader. For many, the next tick on their career timeline would have been an instructor job or related broadening opportunity. And for them, joining the SFAB was a way to stay in the fight. “Once your platoon sergeant time is over, they’re not really in a hurry to send you back out to be a platoon sergeant, because there are other people who need it,” said Sgt. 1st Class Daniel Mayzik, C Company, 3rd Battalion team NCO-in-charge. “I could go back out, be with soldiers, be in the field, do all the fun stuff that I signed up to do,” he added. Army Chief of Staff Gen. Mark Milley speaks out amid an uproar from active and former Special Forces soldiers over uniform items and his comments on the history of SF training missions. For some younger NCOs, it was time to branch out. For others, working in a smaller, more elite unit has already sharpened their skills. Like any brigade combat team, members of the SFAB are predominantly male. Women have only been allowed to serve in infantry and cavalry units — two of the biggest sources of SFAB soldiers — since 2016. But in addition to small teams of 11Bs and 19Ds, the SFAB also has the full complement of gender-integrated support staff, from medical to personnel to supply. To fill some of these positions, the Army reached down into its records to find the best people in their skill areas to bring to Afghanistan. One of them is Sgt. Diego Gantivar, a wheeled vehicle mechanic who has never been in combat, but had 20 years as a civilian mechanic before he enlisted. Earlier in 2017, his sergeant major called him in to tell him he’d come up on a list of good candidates for combat advising. “I probably consider myself one of the most qualified mechanics in the United States Army,” he said. He’ll be tasked with teaching Afghan troops to repair and maintain their vehicles, starting with problem one: An unreliable supply chain. Everyone in the SFAB is an E-5 and above. Thanks to the Army’s promotion incentive, specialists who sign up are awarded full promotion points and an automatic bump once they finish the Military Training Adviser Academy at Fort Benning, Georgia. The Army is preparing to graduate the first class of the Military Training Adviser Academy and stand up its first Security Force Assistance Brigade. To attract talent for the next five planned brigades, there are now new incentives to volunteer. This has its good and bad points, members told Army Times. This is rare in any formation, let alone combat arms. Multiple leaders expressed delight in commanding a unit where you tell a subordinate to do something once, and it’s done. Having a brigade full of above-average PT performers, who have experience tying up every loose end before a deployment, brings down the time the units have to spend on administrative noise. Amid a social media backlash — and even death threats from internet trolls — soldiers in the Army’s new Security Force Assistance Brigade have focused on training and not on berets and patches. From a senior leader perspective, there are positives and negatives, 3rd Battalion commander Lt. Col. Ian Palmer told Army Times. The downside, Palmer said, is that you don’t get the same mentoring relationship that leaders have with their junior soldiers. There’s also a noticeable lack of readily available labor. You see it everywhere at FOB Warrior, where the teams plan events and eat two hot meals together every day. After breakfast, a sergeant first class folds chairs and puts them up on tables. “And if you want to see two captains, a sergeant first class and a sergeant sweeping the motor pool — I’ve carried more tough boxes in the last six months than I imagined I would in my entire life,” Hawkins said. 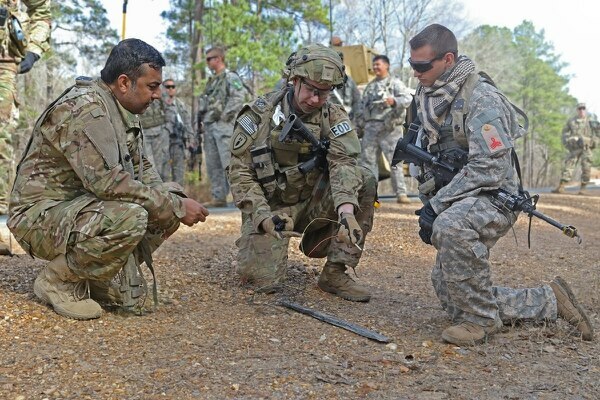 Soldiers from the 1st Security Force Assistance Brigade spent most of January down at the Joint Readiness Training Center in Louisiana, working alongside hundreds of role-players to simulate the job they'll do in Afghanistan.